Atalanta and Empoli face at Stadio Atleti Azzurri d'Italia, in a match for the 32th round of the Serie A. 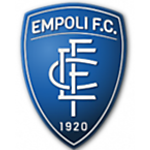 In the last league head‑to‑head, played in 25‑11‑2018, Empoli got a home win by (3‑2). At this stadium, the head‑to‑head history favours the home team, since they have a record of 1 win and 2 draws in the last 3 matches. Sure enough, the last time these teams met at this stadium, on 20‑12‑2016, in a match for the Serie A, Atalanta won by (2‑1). The goals of the match were scored by F. Kessié (74' ) and M. D'Alessandro (90' ), for Atalanta, and by L. Mchedlidze (51' ), for Empoli. In this match the home advantage may play an important role, as both teams present significant differences between home and away performances. After 15 wins, 7 draws and 9 losses, the home team is in the 5th position, havinf won 52 points so far. In the last match, they have tied in an away match against Internazionale by (0‑0), after in the previous match they have won (4‑1) at home, against Bologna. This is a team that, oddly enough, has had better results in away matches than at home, since in the last 30 matches they register 9 wins, 2 draws and 4 losses in away matches; against 8 wins, 4 draws and 3 losses at their stadium. 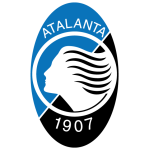 For the league, Atalanta won 18 points out of 30 possible points, after 5 wins, 3 draws and 2 losses in the last 10 home matches. Defensive consistency hasn’t been their best feature, as they have conceded goals in 8 of the last 10 matches, but their offense has scored consistently, as they have scored goals in 8 of the last 10 matches for this competition. In their home matches there is a tendency for goals, since 10 of the last 15 matches for this competition have ended with Over 2,5 goals. They have conceded the first goal in 16 of their 31 matches for this competition, and have only turned the score around in 4. Atalanta come to this game after a 0-0 away draw against Inter. The home club usually play in a 5-3-2 tactical system, favoring a more defensive style of play, attacking through the side aisles. Atalanta are a team that like to play in their midfield, with the goal of trying to surprise their opponents through the counterattack. When they invest in the offensive process, they usually do so through the left aisle, in order to take advantage of the depth offered by Castagne. For this game coach Gian Piero Gasperini will not be able to count on Marco Varnier, Rafael Tolói and Josip Ilicic for being injured. Confirmed Lineup: P. Gollini, R. Gosens, A. Masiello, G. Mancini, J. Palomino, H. Hateboer, A. Gómez, M. de Roon, R. Freuler, J. Iličić, D. Zapata. The away team is currently in the 18th position of the league, with 28 points won, after 7 wins, 7 draws and 17 losses. In the penultimate match, they won in a home match against Napoli, by (2‑1). In the last match, they lost in an away match against Udinese, by (3‑2). This is a team that usually makes good use of the home advantage, stronger with the help of its supporters, since in the last 30 matches they register 5 draws and 10 losses in away matches, with 14 goals scored and 33 conceded; against 7 wins, 3 draws and 5 losses at their stadium, with 25 goals scored and 24 conceded. In the last 10 away league matches Empoli has a record of 2 draws and 8 losses, so they have won 2 points out of 30 possible. In this competition, they haven’t won any of the last 15 away matches. Defensive consistency hasn’t been their best feature, as they have conceded goals in 9 of the last 10 matches, but their offense has scored consistently, as they have scored goals in 7 of the last 10 matches for this competition. In their away mathes there is a tendency for goals, since 11 of the last 15 matches for this competition have ended with Over 2,5 goals. In 31 matches for this competition, they have conceded the first goal 19 times and have only turned the score around in 1. Empoli come to this round unmotivated after a 3-2 defeat at Udinese. The hosts usually play on a tactical system in 5-3-2, favoring a more defensive style of play by attacking through the center aisle. Empoli are a team that like to play in their midfield, with the goal of trying not to concede too many spaces to the opponent. When they invest in the counterattack, they usually do so through the left aisle, in order to take advantage of the depth offered by midfielder Pajac. The coach will not be able to count on Matías Silvestre, Lorenzo Polvani, Kevin Diks and La Gumina for being injured. Confirmed Lineup: B. Drągowski, G. Di Lorenzo, F. Veseli, L. Antonelli, C. Dell'Orco, D. Nikolaou, R. Krunić, H. Traorè, I. Bennacer, F. Caputo, Diego Farias. The most likely scenario for this clash will be the occurrence of a few goals. Both teams are quality from an offensive point of view. That is, it is expected that both attacks will have several situations to score during the encounter. It should be noted that seven of Atalanta's last eight home clashes ended with a "More than 2.5 Goals" market winning.